1. 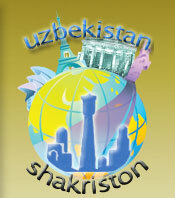 Address: Bukhara city, 53, Hakikat str. 5. Total amount of rooms: planned 38, 18 rooms are ready (bath tube is in each room). 6. Internet access from reception. 7. Telephones in each room. transport, excursion in 7 languages by experienced and qualified guides. copyright (C) 2003 tbw (tim's best work). allright reserved.